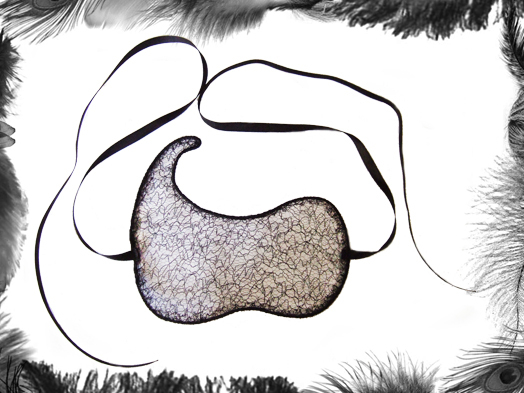 Black Organic look Lace stretched over a wire frame Mask. Unisex, gothic, clubbing, party accessory. Mask stands out from face a little - blinking room! :D But can be shaped to your face if you prefer.